I feel strongly about finding clever ways to reuse my etrog after Sukkot (why is explained here). This year's adventure: make etrog infused honey! The idea came to me while doing research on how to make Goldenrod tea. While looking at YouTube results, I came across an entry that described making Goldenrod honey. 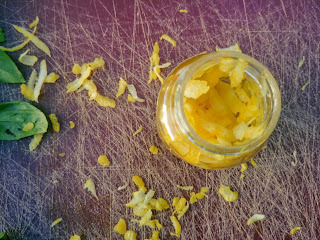 This got me thinking: what else could I infuse in honey? 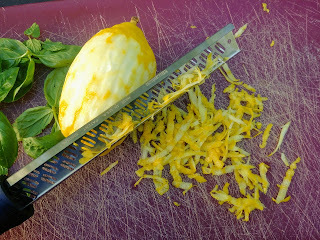 And from there, using the etrog was an obvious choice. 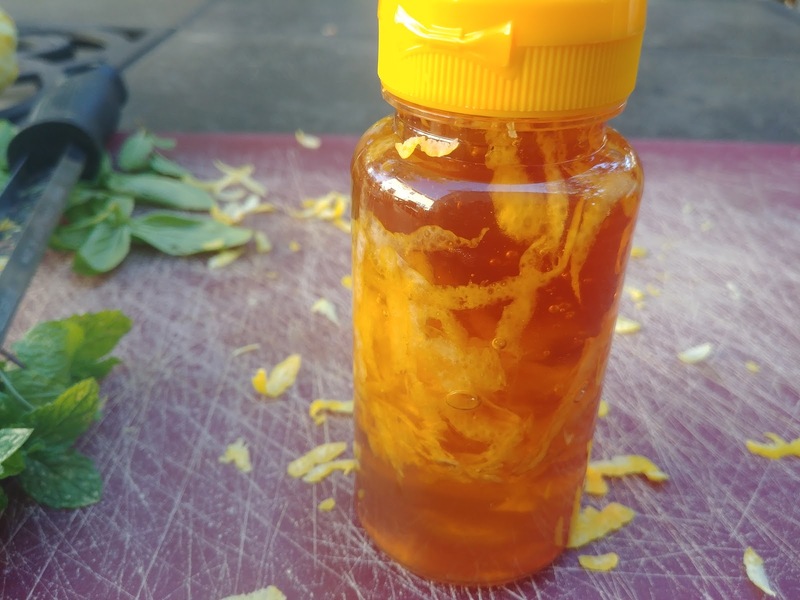 Making infused honey seems to be ridiculously simple: put the flavored food in a container, add honey, and flip the container every day for a week plus. 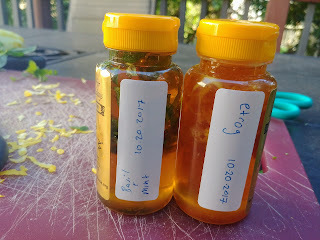 While I didn't find anyone who suggested making etrog infused honey, I did find a orange infused honey recipe. 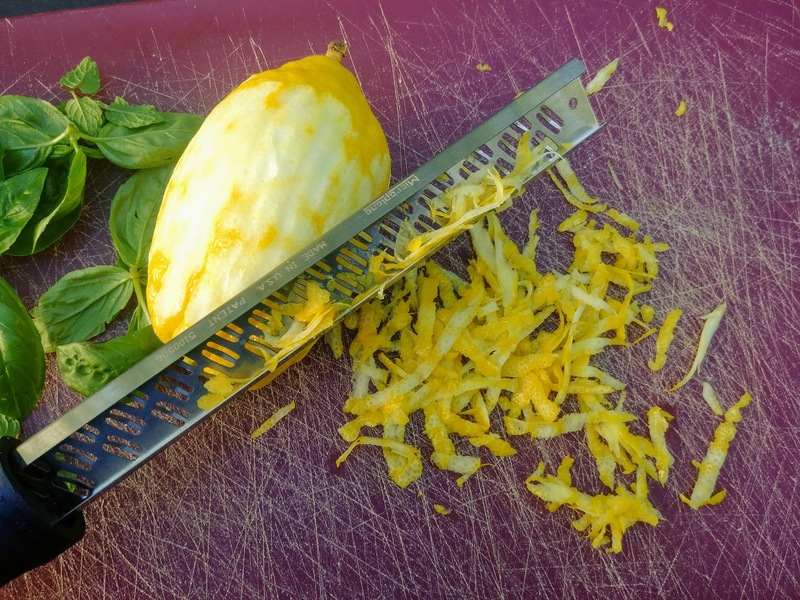 One important word of caution: making the rounds of Facebook is an article that talks about how you should absolutely not eat your etrog because farmers douse them in pesticides. Apparently, this isn't a new concern, and here's an article from back in 2008 with the same strong warning. I'm not entirely sure how I feel about this, but it's important to consider. This afternoon I busted out the left over honey we had from Rosh Hashanah (Thanks Mom! Thanks Roses!) and setup two batches to infuse. 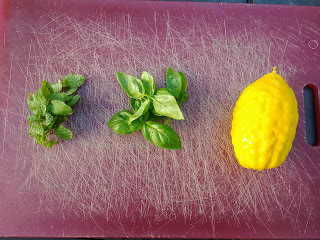 One container is filled with etrog peel, the other with mint and basil from our garden. I've got no idea how they are going to taste, but it's a fun and easy experiment to try. 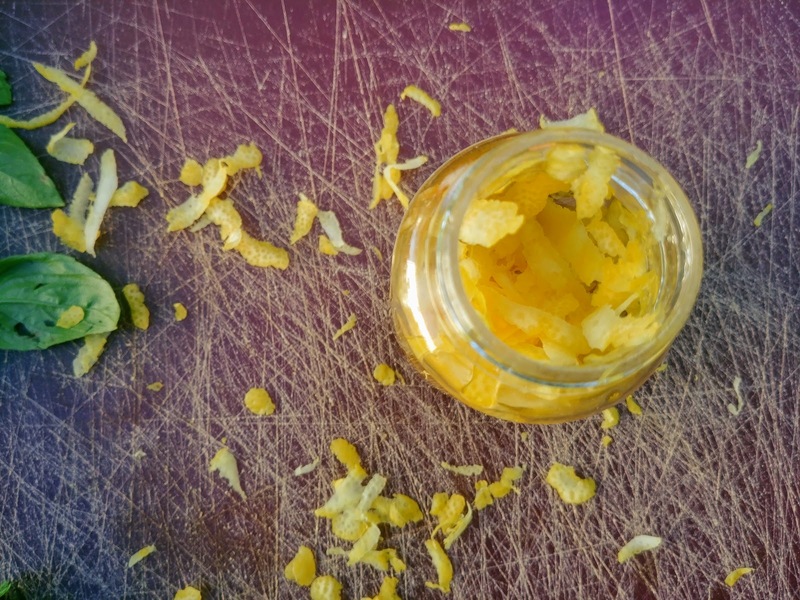 Perhaps I'll try the etrog infused honey on Hanukah latkes? 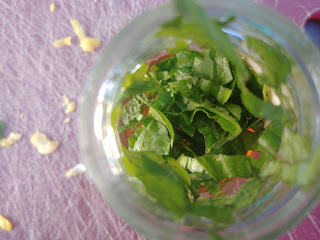 That would be combining symbols from the three different holidays making for philosophical, if not culinary, extravaganza!